It will be great to see when you get going, Lynn! I can only recommend L-girder but I must confess that I have not tried any other benchwork methods. For some reason I cannot find any info on how to turn a gallows turntable. You have solved the problem very elegantly and I have a junk wood planer with what I believe will be the proper gears. Can you post a pic of the underside of the turntable? Any other info on what gears you used will also help complete the mind picture. Of course not finding out how to do this may just be my ineptness at searching so if anyone has a link that would be useful. It's about the building of a gallows turntable in On30. Thats a bit hard as it is very built in but I'll give it a try. 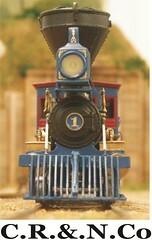 The turntable and mechanism is from Diamond Scale Products. A description of the mechanism you can see in the link below. thank you . This answered my questions. 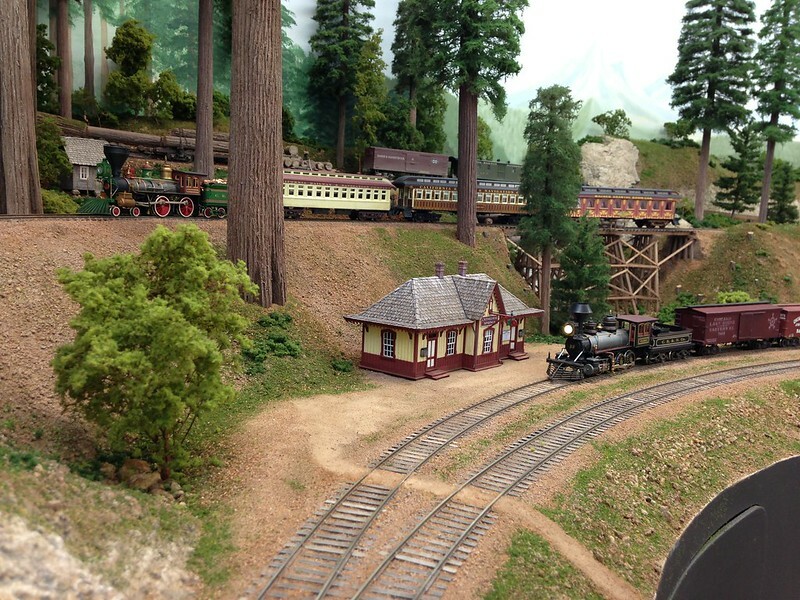 It has been awhile since I posted so I thought I would show some pictures of the progress in the Redwood area. 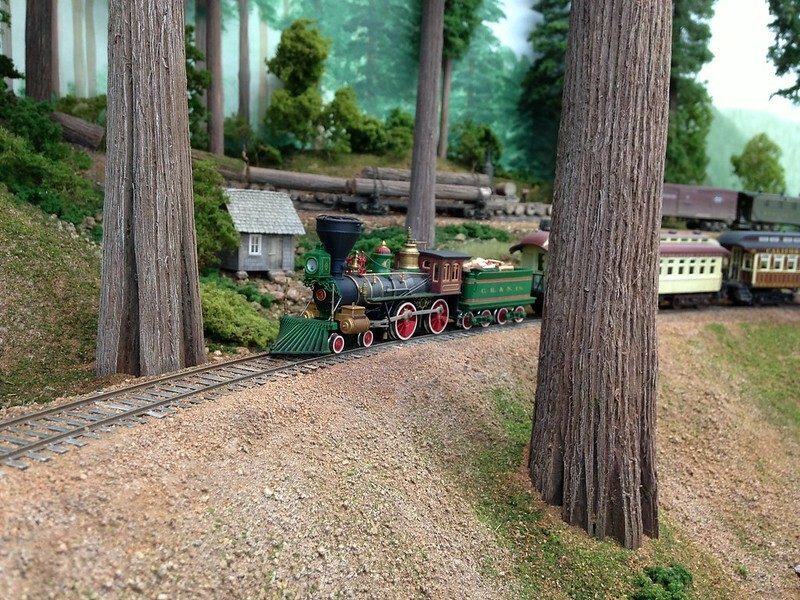 I have now made the layouts largest tree so from now on it is downhill on the big tree making. It was quite a lot of work to do it. As it was so big I had to make the branches a little differently. The tree will be the center of my 19:th century tourist trap as I'll build a platform around its base that the Tourists can reach by climbing a stair. There they then can stare up on this marvel of mother nature . The stair will also lead to a small track platform at the track above. The idea for the track platform kindly came from Greg Shinnie and I have stretched the idea a little further by incorporating the tree platform. You can see a sketch of the platforms and stairs among the pictures below. So the reason for Cathedral Spring stations existence is to serve the tourists who come to drink the healthy spring water and marvel at the big trees and the Cathedral grove. Apart from the above I'm also finishing my locomotive servicing facility with a sand dryer and platform which I hope to show some pictures of when I'm finished. Overview with platforms and stairs sketched in with white. The big tree with its smaller cousin. Over the trees I have mounted some spotlights to give some better light on the trees. The No 3 which has got a weathering job with chalks to tone down its colorful paintjob. It doesn't show up very well on the photo though. The area a little farther away. The top of the trees and the lights will be hidden away by the valance. Wow! H�kan,I just love it when you post new photo's of your work! 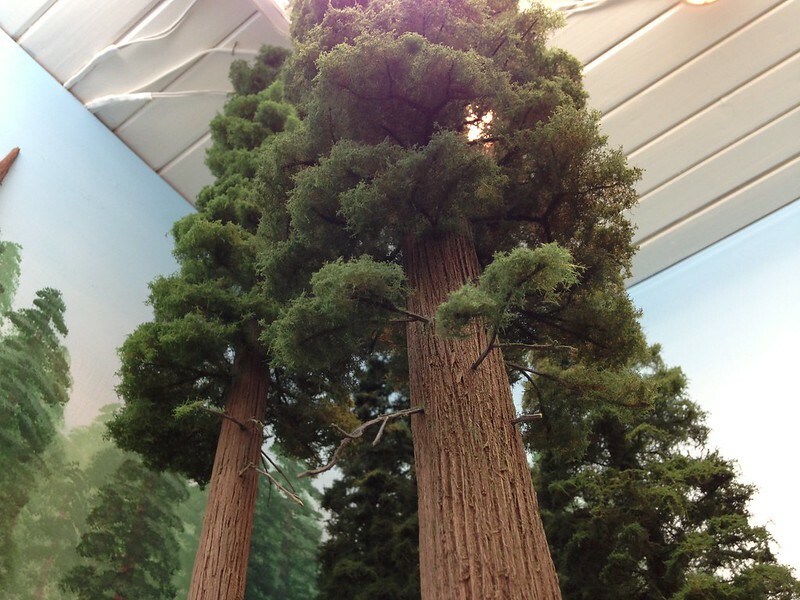 Those trees, especially your biggest one are truly amazing! The credit that you give me is kind of you,but I am positive you would have come up with it all on your own. 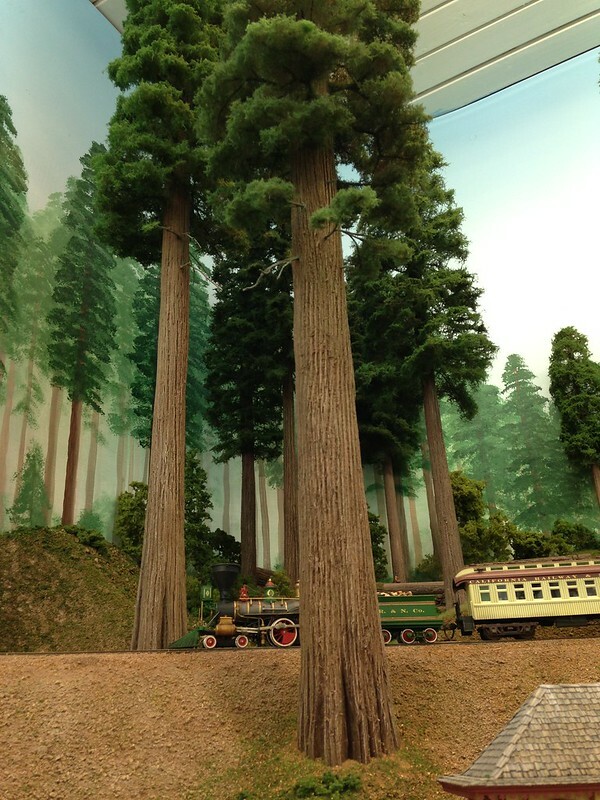 The walkway around the big tree is perfect for visitors coming to gaze at it's beauty. Your whole layout with all it's bright colours in it,reminds me of The Wizard of Oz movie. When Dorothy walks out from her Black & white world, into this beautiful new colour filled world. So...I guess that makes you the Wizard of the C.R.&N.Co. then, so just keep the magic coming Wiz! Amazing pictures. 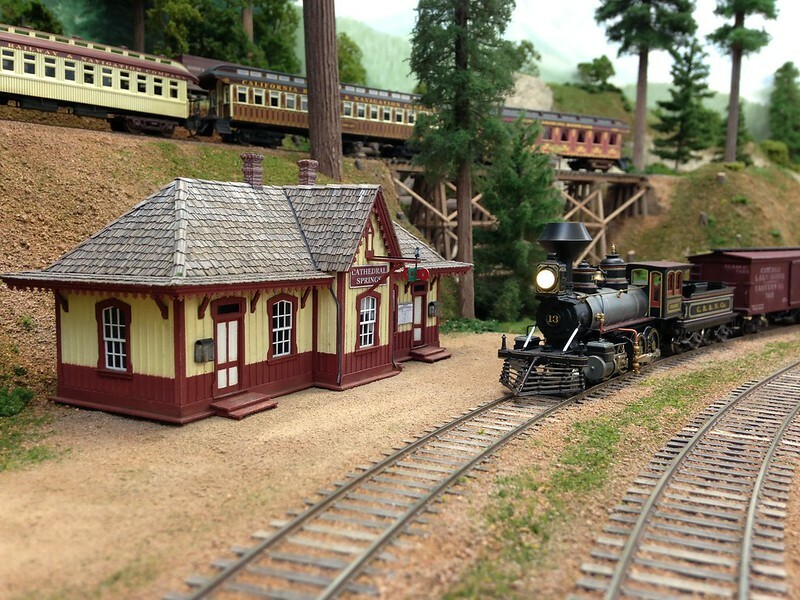 Not only are you a very good train modeler but also a very good photographer. 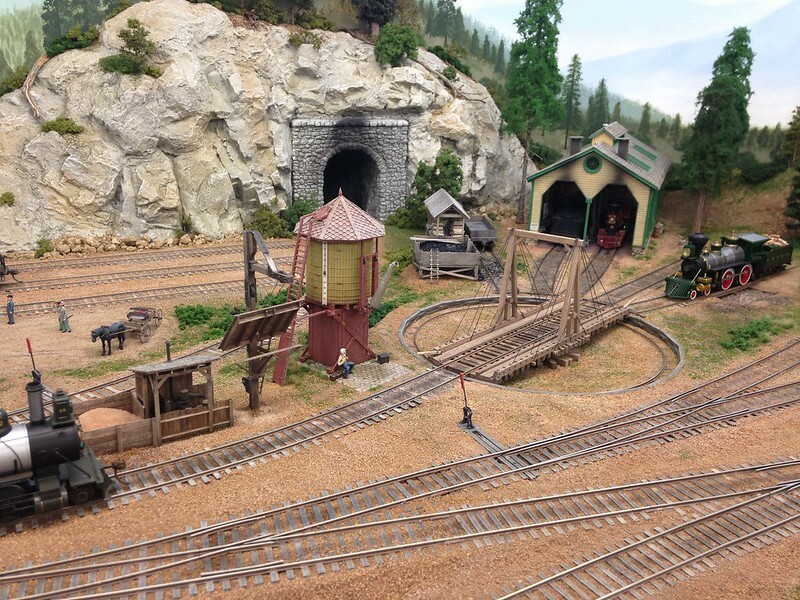 H�kan as I look through the pictures of the layout again I can't help but enquire about the Dunsmuir train station, is it a scratch build? Excellent H�kan!!! Love your BIG trees. Spectacular pictures. 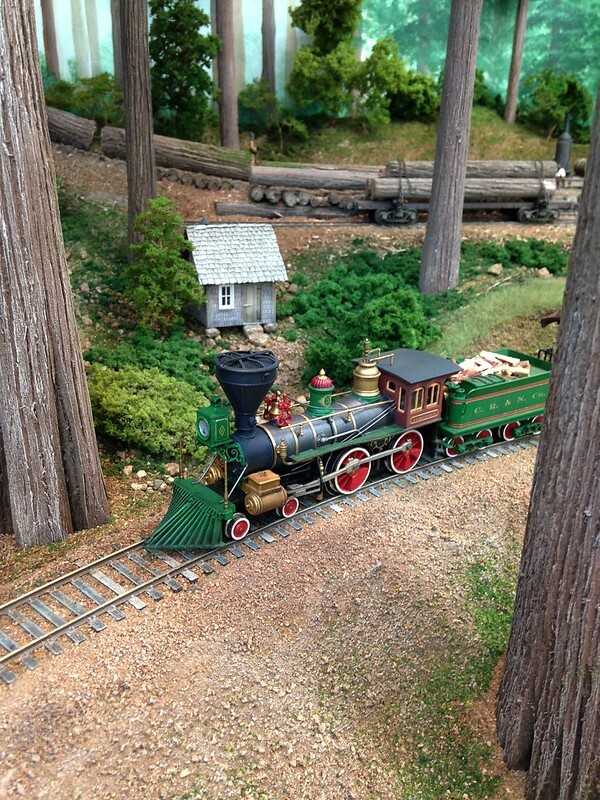 The trains look gorgeous. One criticism; your ground cover is too clean with consistent color and texture. An easy fix. Thanks Greg, I'm blushing overhere! One thing that is very strange is that when I look at the photos the landscape areas looks quite barren. Could be the wide angle lens in the camera which spread things out, I dont know? 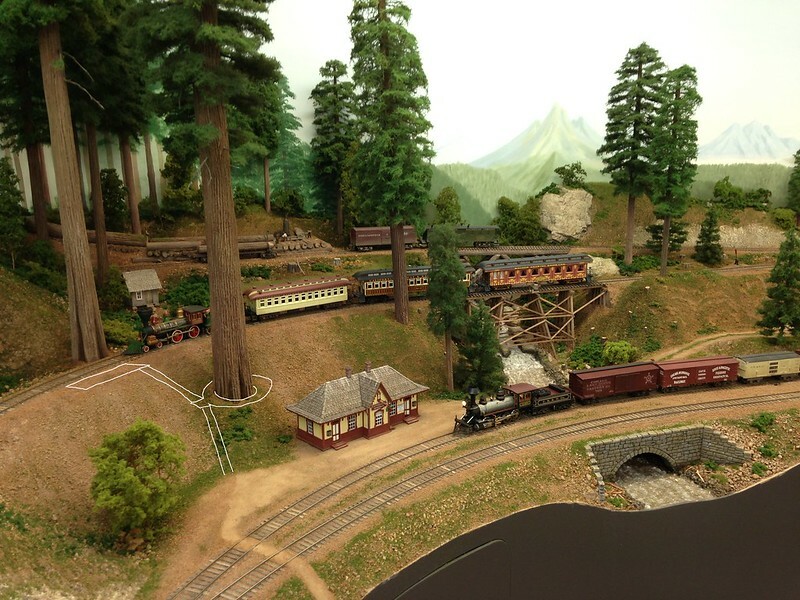 But when one is looking at the railroad in person it looks more what shall I say, dense. Thanks Lynn! 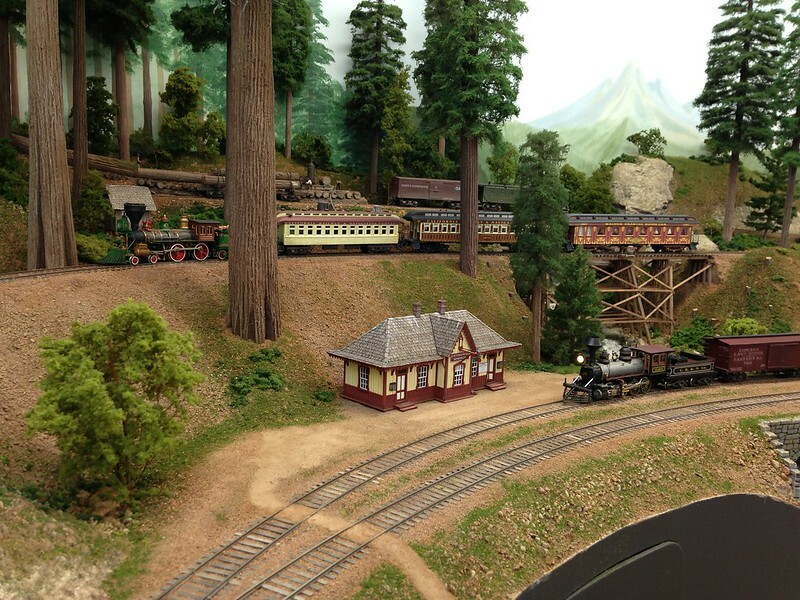 The Dunsmuir depot is from a kit, the Horseshoe Meadows from Railway Engineering Agency. Wiseman Model Services now sells it. Thanks Bob! You are quite right that the ground cover is to uniform. I'm using as a base a local brown dirt and by habit this has been used everywhere. Somehow it also shines through where I have applied grass flock or turf over it. I must get better coverage and vary the colors more. Later tonight I hope to have some pictures to show of the sanding facility. Thanks H�kan I emailed them and they have it in stock but there's no footprint info on there site. Can you tell me the footprint please? Hi Lynn, It was a bit difficult to measure the building but the base has a approx. footprint of 45x22 scale feet. And the platform 76x35 scale feet. I remember when I was a kid and I first saw an ad in RMC on that depot. It was love at first sight It has so much charm. 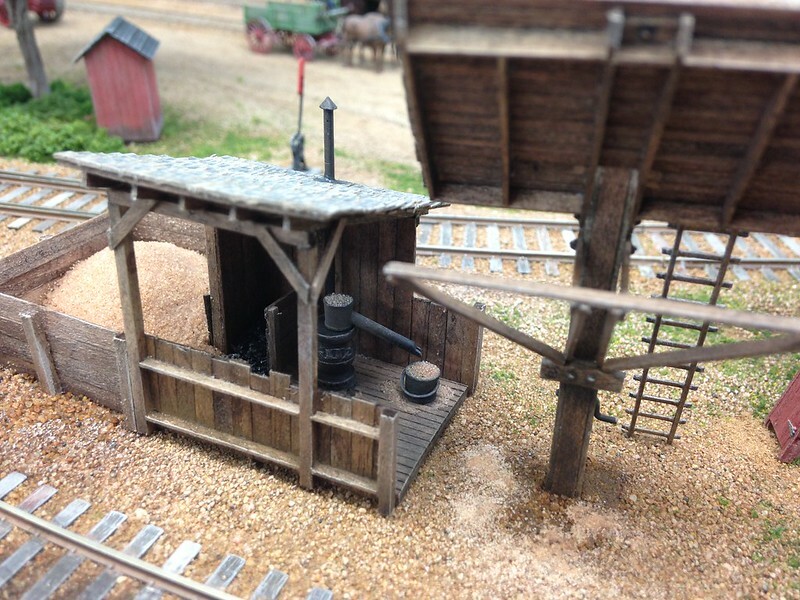 I have finished my Sandhouse and enclosed some pictures below. 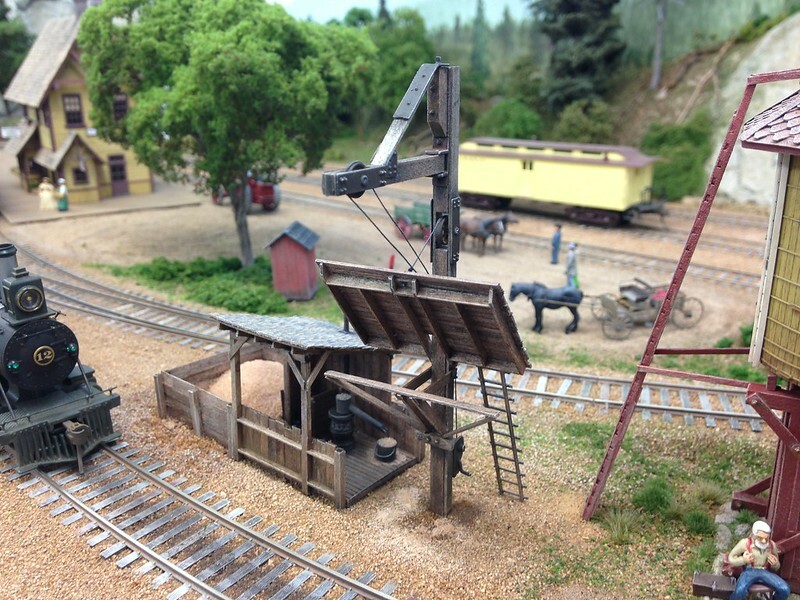 It's Sequoia scale models kit the Sandhouse and Bucket Crane. I added some sand to the scene and the glue is not yet dry so I'll see in the morning if it has warped beyond recognition. Now (I hope) I have added all that is needed to service the locomotives. There is still a lot of ground foam, bushes and details to be added though. Thanks H�kan for the foot print dimensions, I ordered one up. It has alot of character. Keep up your great workmanship. Beautiful! 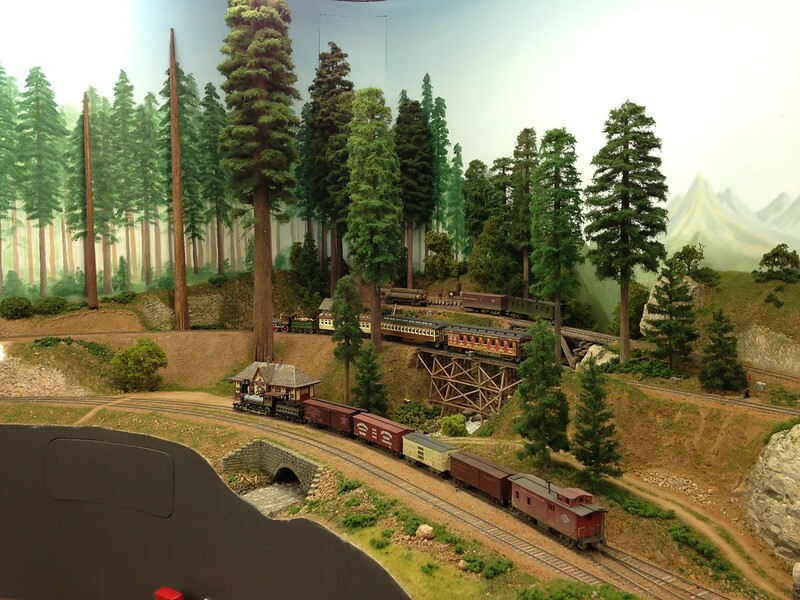 Really enjoy the natural scenic tones against the more colorful trains ... wonderful scenes. Quality craftsmanship with a sense of humor!